Before I will rant about the advantages and disadvantages of my newly bought pocket wifi unit, I will list first my expectations and well-thought reasons why I choose to subscribe to an internet service that would bleed me out Php999 every month (with no option to unsubscribe for 2 years). For someone like me who tried to live frugally (though I often fail), buying another internet gadget and subscribing to another internet service is definitely a big decision to make. Between the lifestyle that I badly want to maintain and my work, I tried hard to create my own reasons why I need an internet connection all the time. 1. There’s no stable internet connection and signal in the places where I frequently visit outside Cebu. During holidays and my partner’s work vacations, we often go to his hometown, a small island that’s detached from the main island of Bohol. My USB broadband stick doesn’t work there and I’ve been scouring for ways to solve my internet connectivity problem. The thought of getting a pocket wifi has been playing in my mind with the hope that the signal should improve and would allow me to work even if we’ll stay there for a long period of time. 2. I need a back-up internet connection if my broadband connection at home will break down. Since I’m a self-proclaimed prepping advocate, the thought of having no internet connection back-up worries me a lot especially in times of calamities and in instances that disruptions of my broadband connection will occur. As my work requires me to be online all the time, internet connectivity is always in the priority of my list. The tediousness of going to internet cafes is something that I don’t want to experience again. 3. I plan to increase my frequency in traveling, thus I need an internet connection all the time to stay connected with my work and clients. Who doesn’t want to travel? Everyone loves to go to their dream destinations without sacrificing their work. This is one of the biggest reasons why I get a pocket wifi. 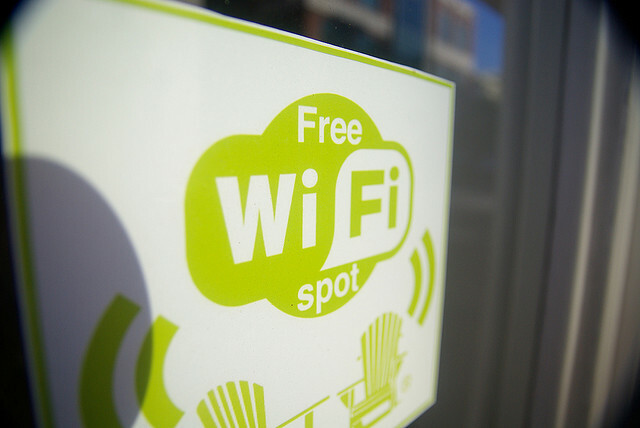 Though most hotels and coffee shops nowadays have wifi connections, the thought of not worrying if I can have a connection every time I entered a pub or check in into a hotel is quite liberating. The days of asking passwords and become frustrated when the wifi connection doesn’t work is gone. Working anytime and anywhere is very exciting. 4. If my pocket wifi will have good connection and signal at home, I plan to discontinue my broadband subscription on October to minimize expenses for my monthly internet connection bills. This is something that I’ve been thinking for a while now. I still have second thoughts in discontinuing my broadband connection because so far it is quite fast and reliable. We plan on moving again at the end of the year, thus the possibility of disconnection is always high. But, the thought of only having a wifi connection is something that I can’t see myself doing. In my line of work, a back-up connection is a must. Therefore, this reason is just a mere alibi. LOL! 5. To minimize my coffee shop expenses and avoid hanging out in expensive coffee shops just for the sake of getting a faster internet connection. Obviously, this is my 2nd biggest reason. Hanging out in coffee shops to get a faster connection for work is really expensive. Also, I don’t plan to keep on avoiding places which I really like just because they have no wifi. Lastly, though this is a bit silly and lame, I bought a pocket wifi because I want to check-in (in Foursquare) in all the places that I go to. Very, very lame but this is something that I personally crave. Why? Just because. Haha! I could definitely use one of these. I find myself trying to do a lot of stuff on my phone because I can never get a wireless signal, but even with 4g, it just don’t cut it. I definitely need something with a stronger signal, that can reach higher speeds. Thanks for the good read. I own a pocket wi-fi, the main reason I bought it is to lower my cell phone bill. I was able to save money each month by being able to use wi-fi instead of carrier data. Hi Agnes, I think for you it was a good decision to buy that pocket internet. Considering your lifestyle this was a must, I wouldn’t have said this if your lifestyle was different. Though it would have cost you the earth but I think it is going to be useful in the long run. I’ve been thinking of getting a wifi pocket as well. There are offers that could give a wifi pocket as well a high-end tablet, but you need to be in contract for 2 years. With these reasons that you have enumerated, I think I’ll really do need it, especially in times of emergency, like brownouts or loss of internet connection from my broadband. I have not experienced pocket Wi-Fi yet, but reading your article makes me give a thought on it since I am on budget constraint these days. Carrying a laptop with broadband connection everywhere is not a feasible task for me. Packet internet sounds to be a good option. Thanks for sharing your thought about it. I hadn’t thought about getting a pocket wifi, but you bring up some good points here. What are the price ranges on them? Thanks you for your post! What about using an Android based phone? They all have the ability to become a wifi hotspot. That way, you could have saved purchasing your Pocket Wifi and be even more frugal. Of course, if you’re already tied in to a phone contract then it could be expensive to terminate it early. I took regard WiFi as a good choice to meet all the internet needs. what do u think about the latest mobiles with built-in WiFi?